In endeavoring to bring faculty and students from various disciplines together in analyzing the various dimensions of major public problems, several scholarly initiatives are being undertaken, including among other research initiatives. These include the: “Education and Gender Empowerment through Sports: Giving Youth a Sporting Chance” project; the “International Cooperation in Response to HIV/AIDS” project; the “Finding Workable Policy Solutions to the U.S.-UNESCO Relations Crisis” project. As discussed below, these three projects are complementary, enable research trips to be combined across projects, and provide synergy for building the capacity for bringing together faculty and students from various disciplines to analyze and respond to major public policy problems and issues. Importantly, all three projects involve engagement with the United Nations Educational, Scientific, and Cultural Organization (UNESCO). UNESCO is the sole UN agency that is most directly related to liberal arts education. UNESCO is the one UN agency that focuses most expressly on the disciplinary areas of our public liberal arts university: education, science, culture, and information/communications. This is especially important in regard to the Coverdell Chair’s mandate to engage and create awareness in the university and broader community to propose innovative, workable policy solutions for such problems. In the context of Baldwin High School’s failing AYP grade and the situation in Georgia high schools more generally, I have launched a new project: “Education and Gender Empowerment through Sports: Giving Youth a Sporting Chance.” The intent is to engage faculty across colleges here at Georgia College as well as teachers and concerned citizens of the local community. It is a transnational collaborative research project that explores the South African and other countries’ experiences in using sport and games to keep youth in school, improve their academic performance, and promote gender equality and the empowerment of girls and often marginalized groups. In this regard, South Africa has taken the world lead. The genesis of the project was the high-level Education Summit of World Leaders, hosted by South African President, during the 2010 FIFA World Cup in South Africa and the parallel international 1GOAL campaign that used the 2010 FIFA World Cup as a means to mobilize support for the global effort to ensure education for all. The project endeavors to assess and delineate lessons learned that may be useful here at home where we are experiencing a crisis with failing schools. This project is premised on the fact that sport can be a powerful and effective tool for promoting education, health, gender empowerment, social development, understanding, tolerance, and peace. In addition to scholarly publications, the project is designed to produce a report that can be disseminated to audiences in both developing and developed countries and can serve as a mechanism for generating a dialogue on sports education reform. It endeavors to create a bridge between American and South African university and high-school students and spread awareness about the nature of sport in differing countries and the importance of sport in education. The University of Cape Town’s Research Unit for Exercise Science and Sports Medicine, Sport Science Institute of South Africa, has taken the lead in Africa for creating and sustaining scholarly and practical networks for analyzing and assessing the role of sports in gender empowerment and promoting education. The Western Cape/Cape Town region is the leading center in Africa as well as the world for the sport, education, and empowerment movement. It provides a unique laboratory and wealth of resources for our project. The United Nations and UNESCO, for example, are partnering with Girls & Football, SA, to create a program dedicated to the development of girls through sport. Other main institutional resources in Western Cape include: Department of Sport, Recreation, and Exercise Science, University of the Western Cape and Institute for Social Development, University of the Western Cape; Interdisciplinary Centre for Excellence for Sports Science and Development, University of the Western Cape; Department of Sport Science, University of Stellenbosch; International Association of Physical Education and Sport for Girls and Women (ICSSPE); International Society for Comparative Physical Education and Sport; African Association for Health, Physical Education, Recreation, Sport, and Dance; Right to Play; African Physical Activity Network (AFPAN); Hoops 4 Hope (H4H); “Beyond the Game!”; Sport Coach’s Outreach; Sport and Development.org; Sport Skills for Life Skills; and Amandla Edufootball. In addition, the Roger Federer Foundation has also been actively engaged in support of such efforts. In partnership with Mercedes-Benz, the Laureus Sport for Good Foundation facilitates the development and empowerment of youth in South Africa through sport. An initial planning trip was undertaken several years ago. The next step in the project is a research and partnership development trip to the Western Cape area, which will be conducted in conjunction with the “International Cooperation in Response to AIDS” project—see below. 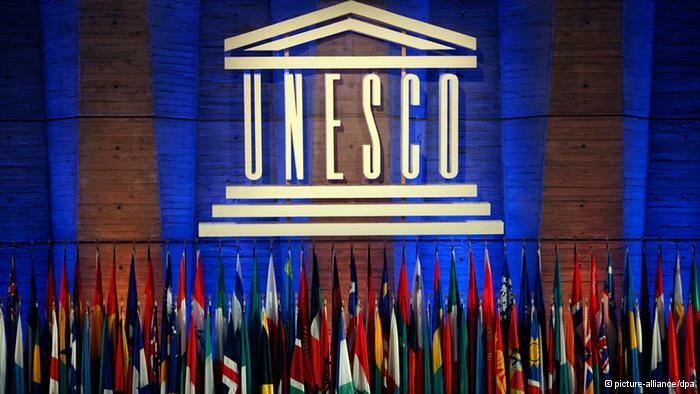 Also and as noted below in regard to the “Finding Workable Policy Solutions to the U.S.-UNESCO Relations Crisis” project, UNESCO is the United Nations’ lead agency for Physical Education and Sport (PES). UNESCO’s Ethics of Science and Society Section of the Social and Human Sciences Division is charged with promoting the integration of gender issues within the policies of sport. In this regard, the main contact points will be the Youth, Sport, and Physical Education Section; the Basic Education Sector; the Social and Human Sciences Sector; and the Gender and Development Policy Section, Education Division. The research project studies the processes of international cooperation to control the spread of the acquired immune deficiency syndrome (AIDS). The research is aimed at deepening our understanding of the conditions and limitations of international cooperation and especially the roles of international institutions, nongovernmental organizations, social movements and other diverse elements of society in global governance. These insights, it is expected, will contribute to theoretical understanding of the processes of international cooperation and to the epistemological and methodological development of the study of international relations. Simultaneously, our research will seek to develop specific understanding of how global efforts against HIV/AIDS have been mounted, how and to what extent it has proceeded, and what specific interorganizational processes and structures have been involved and to what ends. Following on the previous work, network analysis will be employed to identify and trace the international linkages among key participants and groups with an eye to identifying their perceived needs, values, interests, “problem definitions,” motives, political strategies, and policy actions. Accordingly, this project seeks to expand further our understanding of the roles that issue-framing, agenda-setting, and leadership-followership play in processes of global governance. It also endeavors to expand our knowledge about the role and potential of non-state actors and civil society in global governance. We are putting together a larger transnational research team, which will include: Dr. Scott Butler, Associate Professor of Kinesiology, Georgia College; Dr. Christer Jönsson, University of Lund, Sweden; Dr. Kristina Jönsson, University of Lund, Sweden; as well as partners from Stellenbosch University and University of Cape Town, South Africa. The Coverdell Intern works exclusively on this project. Dr. Jason Rich and the Coverdell Chair received a Georgia College intramural grant of $4,916.55 for the project and conducted preliminary interviews in Geneva, Switzerland, where UNAIDS, the World Health Organization, the Global Fund, the International Red Cross, and many other international organizations dealing with AIDS are based. In Fall 2014, extensive follow-on interviews will be conducted at these and other agencies in Geneva, as well as at UNESCO in Paris. UNESCO is one of the key partners in UNAIDS and focuses on arguably the single most important element—education—of the UNAIDS inter-agency division of labor. At UNESCO, Chris Castle, Chief of Section for the HIV and Health Education Section, and Scott Pulizzi, Partnership and Communication Officer, will serve as main contact points. UNESCO leading education role in AIDS is coordinated through the UNESCO HIV and AIDS Education Clearinghouse, which is a partnership of UNESCO Offices and Institutes: International Bureau of Education (IBE); International Institute for Educational Planning (IIEP); Asia and Pacific Regional Bureau for Education.